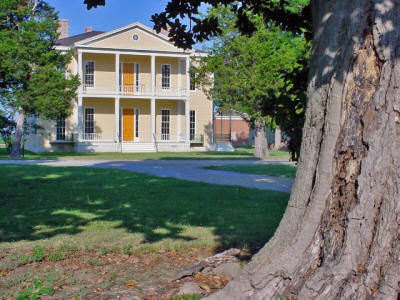 June 22, 2009 -- Lakeport Plantation will host an African American heritage reunion celebration Friday-Sunday, July 3-5, at Lakeport Plantation, Lake Village, Ark. The event is sponsored by the Lakeport Cemetery Preservation Project, Inc. and ASU-Jonesboro. Activities will begin with a registration and meet-and-greet at the Mt. Pleasant Church cafeteria from 5-7 p.m. on Friday, June 3. The reunion celebration encompasses Lakeport, Ford, Redleaf, and other surrounding communities. Star), and "the Big House" will take place from 1:30-4 p.m. At 5:30-7:30 p.m., African American music and celebrations will be featured, including God's Network, a Jump the Broom wedding ceremony, and a combination fireworks show, reception, and party. Sunday, July 5, will feature a sunrise church service and closing ceremonies from 7:30-8:30 a.m. and a continental breakfast at 8:30-9:30 a.m.
Alice Rogers-Johnson, president of the Lakeport Cemetery Committee, notes, "The past is all around us. 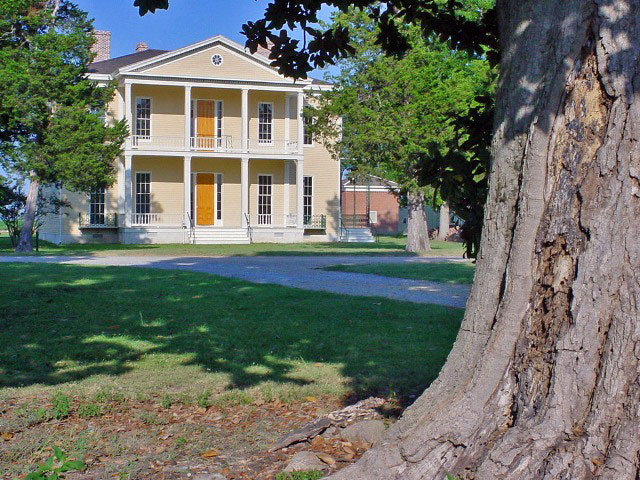 We live our lives against a rich backdrop formed by historic buildings such as the Lycurgus Johnson Lakeport Plantation house, the landscapes and other physical survivals of our past, such as the cotton fields, fishing holes, juke joints, churches, cemeteries, and other significant landmarks. Historic landscapes or iconic buildings can become a focus of community identity and pride. Building materials and artifacts can define a region's localities and communities. However, our African American history and heritage and lifestyle on Lakeport is more than just a matter of material remains. It is central to how we see ourselves as individuals, communities, and as citizens...on a more personal level, it is a testament to the people who lived, worked, and died here." Aketa Guillory, a Heritage Studies PhD student at ASU-Jonesboro, agrees. Guillory says, "I have been working on the African American experience in the sharecropping and tenant farming systems on Lakeport Planation, which included interviewing those who migrated to the north. Also, I have also been working with African American community members near Lakeport to preserve their three historic cemeteries, which eventually led to the development of the Lakeport Cemetery Preservation Project, Inc., and the Lakeport Cemetery Committee. The Lakeport African American heritage celebration is a sort of community catalyst to promote preservation of African American history and heritage. With this in mind, my dissertation focuses on the African American experience on Lakeport Plantation from 1927-1972." For more information, contact Aketa Guillory, (870) 273-6589, visit the website Memories of Lakeport, see or print a copy of the Lakeport heritage celebration brochure, or view a map of Lakeport and its environs. In Lake Village, contact Alice Rogers-Johnson (arogersjohnson@yahoo.com), (870) 918-0139. Lakeport Plantation is an Arkansas State University Heritage SITE. Visit the Lakeport Plantation blogspot (http://lakeportplantation.blogspot.com/2009/05/lakeport-cemetery-preservation.html) for information and photographs.